Christopher Titus is coming to the Orpheum Theatre March 14th at 8:00pm. Employing what he's labeled 'hard funny,' Christopher Titus is known for leaving no stone unturned, especially within his own life and family. Titus always takes his audience on a 90-minute ride that will leave them exhausted from laughter. To see one of Christopher Titus' shows, is to love him. 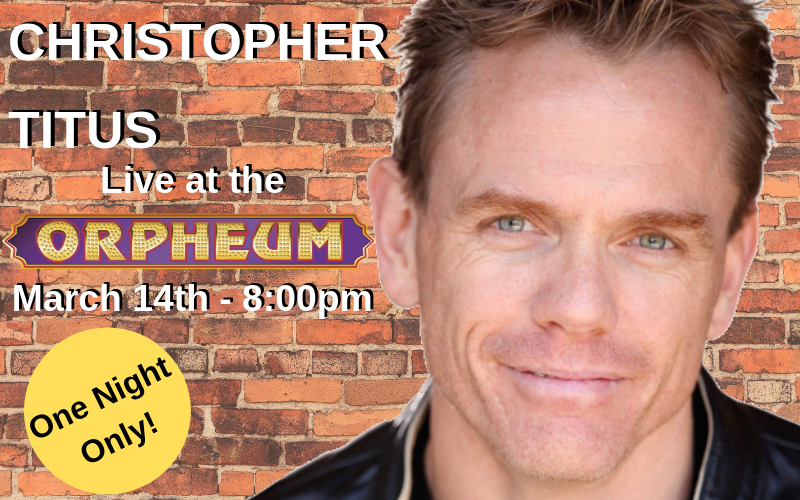 Don’t miss Christopher Titus at the Historic Orpheum Theatre March 14th!